Modern Combat Versus – Released Worldwide Earlier Than Expected! 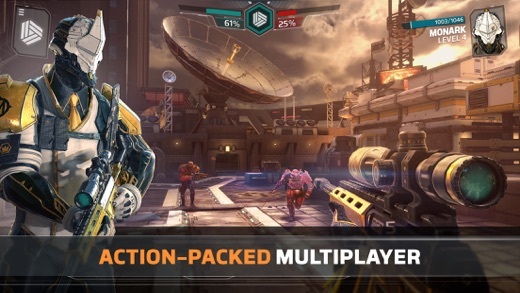 Here comes the much anticipated Modern Combat Versus [Free] and this time it is available worldwide for iOS and Android! This time the 6th instalment of the classic series focuses on multiplayer where you can engage in 4vs4 battles online fighting to control a central zone. With the final version that is now out, you can play with 12 specialized Agents across 5 maps. In the dawn of Mobile eSports, we have yet to see how this game competes against other titles. When it comes to graphics, Gameloft never disappoints but in terms of gameplay we will have to see if this title has improved from the time it was in soft launch. We will keep a close eye on Modern Combat Versus and let you know our thoughts, tips and tricks in the upcoming days. You can check the launch trailer for this game below. When is this game coming out on windows phone? I need to now urgent… I’m tired of waiting on this game.